Selling the Home You Live In? Buying a Home to Live In? 3 Houses - 0% Commission! Why are We Great to Work With? 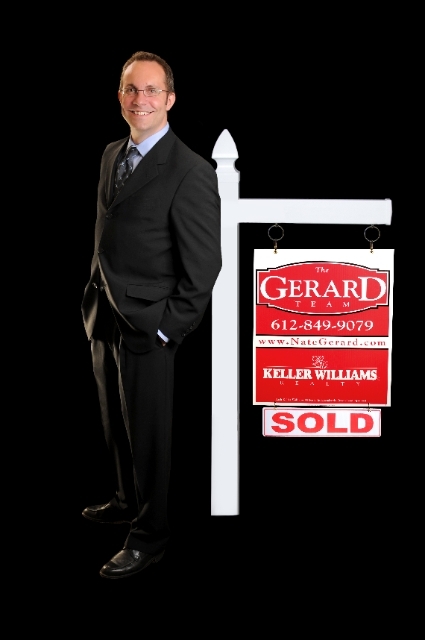 The founder of the Nate Gerard Real Estate Team, Nate Gerard, has over 20 years of relevant sales and marketing experience working for thousands of clients. Our top priority is your success and happiness! When creating our team, we set out to offer clients a new level of professionalism, providing the most informative, dedicated service in the industry. Nate and Jill Gerard both come to real estate from successful track records in the fields of executive level business-to-business sales and strategic marketing for clients ranging from small boutique brands to Fortune 100 companies. Because of our backgrounds, we see things through the lens of a business person. We keep abreast of key trends and continually analyze the marketplace. We know how to leverage the most current advances in technology and provide a balanced mix of quantitative and qualitative data to inform our client's decision making process. But you will also have a team that understands how important your real estate transaction is to you. Because just as important as the business side, so is the human side of our relationships with clients. We bring a unique balance of providing savvy, full-service real estate services without ever losing sight of the importance of personal attention to each of our clients. Nate chose to found the Nate Gerard Real Estate Team, working with Keller Williams, after investing in real estate for a number of years. Jill and Nate have been married for 14 years and have two wonderful elementary school age children. Nate served on the Board of Directors of Ascension Episcopal Church in Stillwater and is a hockey coach in the Stillwater Mites hockey program. He also serves on the Governmental Affairs Committee of the Saint Paul Area Association of Realtors as well as the ALC (Agent Leadership Council) in the Keller Williams Premier Woodbury office. There are three key areas of the industry we serve. 1. Traditional buyers and sellers. 2. Investors who buy, fix, and flip homes as well as rental investors. 3. Homeowners whose homes were recently listed, and were not successful in selling. Buying and selling requires more analysis now than ever. Where are home values trending in the area? What is the best pricing strategy? 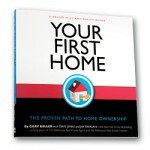 What is the affect of short sales and bank owned sales on the home you want to sell or buy? We help clients determine the best answers to these and all the questions that arise. Whether you're looking for a rental or a rehab opportunity there are many factors to consider. What are comparable bank owned properties selling for in an area? What are the tactics to get your offer accepted without overbidding? What are modifications you can make to increase the rentability or sellability of the home after your improvements? We have an excellent network of other agents who work with buyers as well as people interested in Contract for Deed, Rent to own, and simple rental agreements. When a listing goes "Expired", it is often a very frustrating and disappointing situation for homeowners. We listen to their story and offer new ways to help accomplish their goals. We have many documented case studies where we have helped homeowners achieve success. Aside from working with referrals, getting expired listing sold is our sole focus. In today’s market, the right agent with the right marketing tools and the right attitude makes all the difference. We would be happy to offer you a no-obligation evaluation of your situation! Next Steps - How Can We Help? Thanks for including us in your real estate search. You'll find answers to many of your questions just a few clicks away. If you don't find what you're looking for please call or email us. We promise fast response and quality information to help you make decisions.